ZUMBA® IS MOVING THE WORLD TO A NEW BEAT. When participants see a Zumba® class in action, they can’t wait to give it a try. Zumba® classes feature exotic rhythms set to high-energy Latin and international beats. Before participants know it, they’re getting fit and their energy levels are soaring! There’s no other fitness class like a Zumba® Fitness-Party™. It’s easy to do, effective and totally exhilarating, often building a deep-rooted community among returning students. Zumba® is the only Latin-inspired dance-fitness program that blends red-hot international music, created by Grammy Award-winning producers, and contagious steps to form a "fitness-party" that is downright addictive. Since its inception in 2001, Zumba® Fitness has grown to become the world’s largest – and most successful – dance-fitness program with more than 10 million people of all shapes, sizes and ages taking weekly Zumba® classes in over 90,000 locations across more than 110 countries. When it comes to body sculpting, Zumba® Toning raises the bar (or rather, the toning stick). It combines targeted body-sculpting exercises and high-energy cardio work with Latin-infused Zumba® moves to create a calorie-torching, strength-training dance fitness-party. Students learn how to use lightweight, maraca-like Toning Sticks to enhance rhythm and tone all their target zones, including arms, abs, glutes and thighs. Zumba® Toning is the perfect way for enthusiasts to sculpt their bodies naturally while having a total blast. Maximize your workout while still having a total blast. Zumba® in the Circuit is 30 minutes of high-octane, Latin-inspired dance-fitness moves combined with circuit training, a series of strength exercises at timed intervals. Get the metabolism-boosting, strength-building benefits of circuit training while perfecting Zumba® moves—all in the same class! Guaranteed to blast calories and thwart boredom, Zumba® in the Circuit moves students from one exercise station to the next to the thumping beats of reggaeton, salsa, merengue, hip-hop and more. Be in and out in 30 minutes flat —this time-effective and efficient class can be adapted for all fitness levels. Known as the Zumba® “pool party,” the Aqua Zumba ® program gives new meaning to the idea of an invigorating workout. Splashing, stretching, twisting, even shouting, laughing, hooting and hollering are often heard during an Aqua Zumba® class. 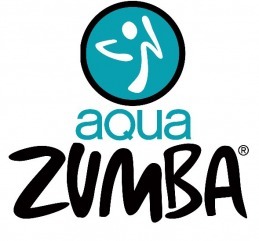 Integrating the Zumba® formula and philosophy with traditional aqua fitness disciplines, the Aqua Zumba® class blends it all together into a safe, challenging, water-based workout that’s cardio-conditioning, body-toning, and most of all, exhilarating experience .